Mother’s Day is nearly here, which means that it’s time to celebrate our mom and mom figures a bit extra—since we should already be appreciative year round! Mothers have an unending list of talents to assist with our every need, making our lives easier with their hard work that is never truly finished. One gift in particular that moms seem to develop is consistently impeccable handwriting. From writing us cute notes hidden in our grade school backpacks, to signing cards on our birthdays, moms always bring their A-game when delivering words of unconditional love. Hey, even their grocery lists look immaculate! However, they do need the right (or write) vehicle to accomplish all of this. Whether she prefers modern ballpoint and rollerball pens, or the classic touch that comes with fountain pens, she’s sure to appreciate a writing instrument worthy of her years of dedication as a mom. Monteverde USA and Conklin brand pens come in a variety of colors, designs, and price points! To help you narrow it down, we’ve compiled a few pen collections and paired them up with quotes from strong female writers, who just so happen to be moms, too. 1) The Pen: Invincia –It sounds like “invincible,” which is a perfect word to describe mothers! These pens come in various shades, ranging from stylish Rose Gold, to sleek Stealth Black, and even galactic Nebula. They’re an elegant gift for a beautiful soul. The Quote: “We do not need magic to transform our world. We carry all of the power we need inside ourselves already.” J.K. Rowling says it best! Moms can always see our potential, and they force us to realize that everything we need is already within us. 2) The Pen: Crescent Filler—This was Mark Twain’s favorite pen, which has been recreated with the original crescent filler mechanism design! 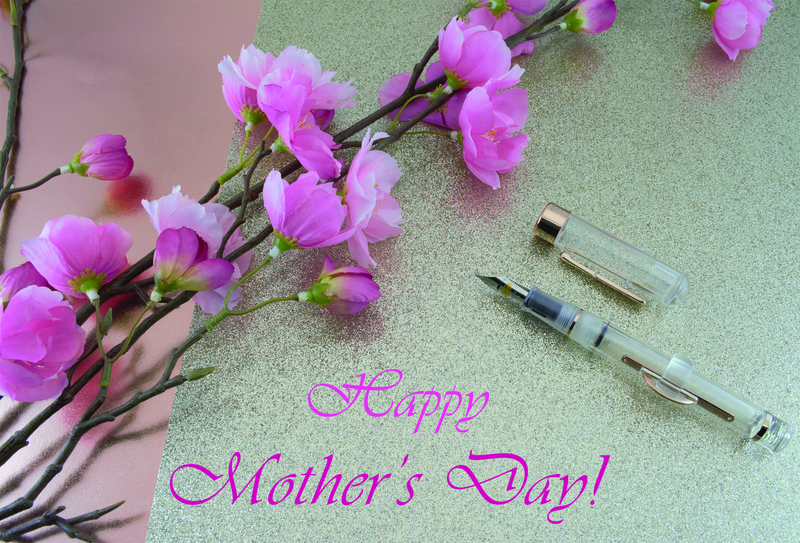 Give mom a classic pen that revolutionized writing over a century ago. The Quote: “Invention, it must be humbly admitted, does not consist in creating out of void, but out of chaos.” Mary Shelley’s quote is especially applicable to moms—always using their creativity and patience to create something spectacular amidst tantrums and hectic schedules. 3) The Pen: Quadro 4-in-1—As we said earlier, mothers are masters of many trades, so why not give her a pen that has several functions? The Quadro houses black, blue, and red ballpoint colors, and a pencil with accompanying eraser! It’s available in four colors to suit her individual taste. The Quote: “A word after a word after a word is power.” Margaret Atwood understands the depth that language holds. Words of encouragement from mothers truly are empowering. 4) The Pen: Minigraph—Your mom might be just one small person in the universe, but she never lacks in offering her best self each day and completing every project. Similarly, the Minigraph might be tiny, but it delivers a supreme performance each time it’s called to action. This pen is perfect for on-the-go writing, and fits into any compartment with ease. The Quote: “If there is a book that you want to read, but it hasn't been written yet, you must be the one to write it.” Toni Morrison’s quote is applicable to mothers and artists alike, as both are powerful creators. 5) The Pen: Aldo Domani—Moms understand that the best things don’t have to cost a fortune. The Aldo Domani collection is sleek, simple, and comes at fair price point, because the most important element of this pen is that it’s gifted with love. The Quote: “Love recognizes no barriers. It jumps hurdles, leaps fences, penetrates walls to arrive at its destination full of hope.” Maya Angelou knew that true unconditional love, like that from a mother, can reach you no matter where you are in the world. We wish you all a Happy Mother’s Day, and thank the moms and mom figures of the world who keep our society going.